Hello friends! I’m Jennifer, a Stampin’ Up! Demonstrator and 2017 Artisan Design team member from New Jersey. I am excited to share some fun projects with you this month. I had some cute pictures of my kids that I wanted to frame. So instead of simply putting them in a frame, I wanted to jazz them up a little bit. I knew that Project Life would be perfect for this! The kit that I used was the Hello Lovely Project Life Card Collection and the Hello Lovely Project Life Accessory Pack. The colors in this kit are fabulous! Both of these scrapbook pages are 8 x 10 so they will fit nicely in a frame. I am not much of a scrapbooker but I like to make single pages that I can frame (my house is full of gallery walls)! The Project Life kits make this so easy since everything coordinates and the embellishments give it that extra touch. For this page of my daughter, I used several of the cards from the Hello Lovely Project Life Card Collection. I layered them on top of Peekaboo Peach cardstock. If you notice on the top and bottom corner, I also used one of the sayings from the All Things Thanks stamp set. It’s great to be able to combine stamping with scrapbooking. A fun little touch was using one of the acetate specialty cards as an overlay for the picture. You can see below where I lifted it up. Then the finishing touches were some sequins and other embellishments from the Hello Lovely Project Life Accessory Pack. I also added a pretty bow using Whisper White Thick Baker’s Twine. For my son’s page, I again used several of the cards. This time I took two of the black and white crosses cards and two of the stripe cards to cover more of the Pool Party cardstock. By gluing them next to each other they each look like one big card. I added some stamping on this page as well with the All Things Thanks stamp set. The finishing touches were more embellishments from the Hello Lovely Project Life Accessory Pack. Since I was really enjoying this kit, I wanted to make cards as well since card making is what I do most. This kit is great for cards because you just need a few extra items to make some beautiful cards. For all of the cards I used the All Things Thanks stamp set and the stamps included in the Hello Lovely Project Life Accessory Pack. All the cards used Pool Party cardstock as the base. For this card, I used the super pretty floral card in the background and layered another smaller card on top. The middle layer is actually the part that I cut off from the black floral card. Since the Project Life cards are 4 x 6, they are a little too long for my cards. So I reused that extra ¾ of an inch piece in the center of the card. Can’t let anything go to waste!! I stamped the sentiment on Peekaboo Peach cardstock that was die cut with the Stitched Shapes Framelits Dies. I added more embellishments and a bow with Basic Black Solid Baker’s Twine. This card uses many of the same techniques that I used on the first card. Since there are so many fun patterned cards to choose from, each card looks different but uses many of the same techniques to put it together. This makes card making super simple!! For the final card, I again used several of the cards from the kit. The So Sweet card is found in the Accessory Pack. How cute it that! The “hello” stamp is found in the accessory pack. Since the full stamp says “Hello Lovely” and I only wanted to use hello, I used my Basic Black Stampin’ Write marker to only color “hello” to stamp, so I colored just the word with marker. I did this same technique with “you’re”. This word comes from the All Things Thanks stamp set. I finished it off with some sequins and a pretty bow. We're thrilled that our friends at Stampin' Up! have offered to give away the Hello Lovely Project Life card kit and the accessory kit Jennifer used to one lucky reader! For an opportunity to win, be sure to leave a comment below by April 30th! Good luck! Last month, Artisan team member Kimberly Van Diepen shared some beautiful projects using the Oh So Succulent Photopolymer Bundle and Stampin' Up! offered to give that away to one reader. I love the banner for the succulents. I adore gardening so this "Oh So Succulent bundle set by Stampin' Up" would be a perfect addition to my stamp collection! Thanks so much for sharing and the chance to win this great giveaway! Congratulations Cindy! 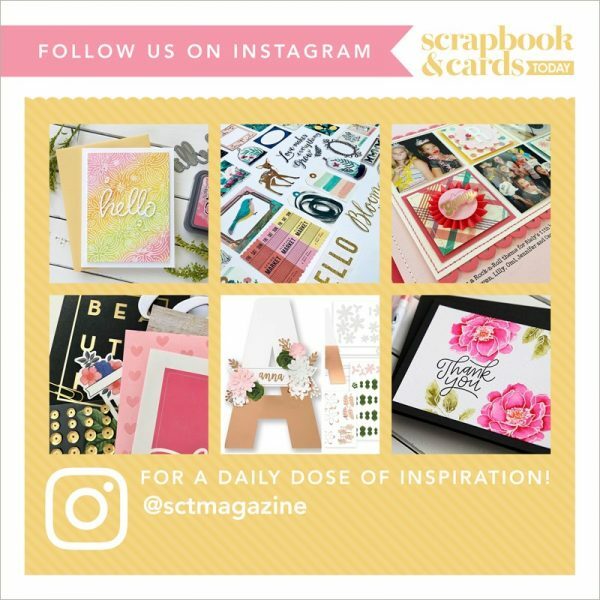 Please send your mailing address and telephone number to us at ideas@scrapbookandcards.com and put "Blog winner" in your reference line! Thank you for joining us today SCT friends! We hope you're inspired by these wonderful projects Jennifer shared! Have a wonderful weekend! Oh My Hello Lovely Project Life card and accessory kit is lovely and if I could create the beautiful cards that you did Jennifer, I would be more than pleased. 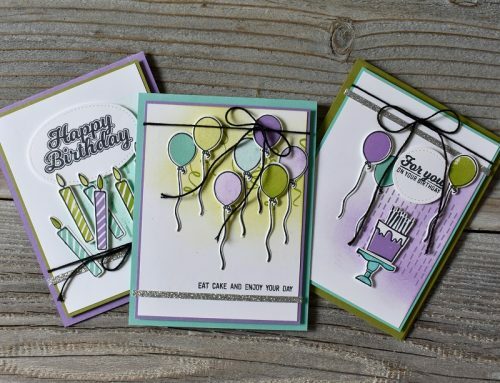 I love your layouts and cards….great job! Thank you. Wow! What a beautiful kit! Thanks for the chance to win such a wonderful prize! You can see why Stampin Up is so popular! Stampin up is amazing! Thank you for sharing! Jennifer, you’ve created some beautiful inspiration for all of us. What an amazing kit. Thanks for sharing with all of us. Thanks to Stampin’ Up for offering such a wonderful rpize! Awesome Hello Lovely Project Life creations. Just beautiful and beautifully done! Thanks for sharing with us! THis is very nice. What a nice give away as well. Love the colts in this kit! Thanks for the chance to win. This is a very pretty kit and I like the versatility of it. The Hello Lovely Project Life set is….well, lovely! Jennifer’s pages are a also lovely! Thanks for sharing! I would love to win this! Great idea to frame the pages. Adds so much. Thank you Stampin’ Up & SCT for the chance to win the Hello Lovely Project Life card kit and the accessory kit. Hello Lovely is perfectly named! I ❤️ how versatile this PL kit is! Jennifer’s frame ups are so pretty and are going to look stunning on display! TFS! What a great way to use this kit! It is so pretty..thanks for the chance to win! This Hello Lovely kit, is one of the nicest pocket scrapbooking kits that Becky Higgins and Stampin Up have come up with! Love all of the different projects made with it! Well done Jennifer and thanks to Stampin Up and SCT for this brilliant giveaway! This kit is so pretty! I love making pages and cards but don’t do Project Life and never thought to use those products like she did but will definitely try it now. Thanks for the inspiration and for the chance to win! Such a pretty kit– and the projects are so nice, too. I think those cards are gorgeous. Beautiful projects, Jennifer! You’re right – the colors are fabulous! And thank you, SU, for such a lovely giveaway – I can think of many layouts, cards, and other projects I could make with this! Wow, all of these projects are fantastic! Thanks for the chance to win such a great giveaway. Beautiful cards from this kit! 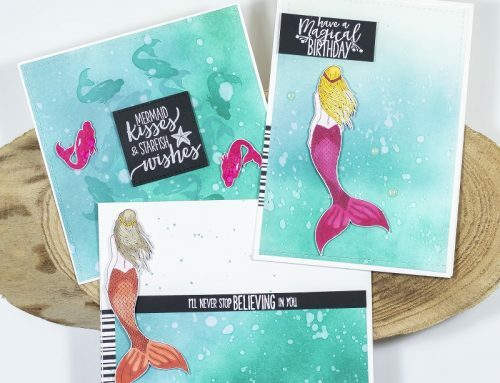 I haven’t done any pocket scrapbooking yet but these ideas are very inspiring.I only recently started buying from Stampin’ Up and really love their products. Amazing layouts and cards! What a lovely project kit. So many great ideas, using this beautiful collection! Thanks for the chance to win some Stampin’ Up goodies! Thanks for the chance to win the Hello Lovely Project Life card kit and the accessory kit! I love Stampin Up products. The cards and layouts by Jennifer are gorgeous! The kits that Jennifer used are so beautiful! Decorating framed photos is such a clever alternate use for the Project Life products (super cute kids, too)! Great idea to frame these layouts and pretty cards too. Love the projects using the project life collection. Great idea Stamping the background – definitely something I would like to try, Thanks for sharing! THis kit is so wonderful …love the different layouts. 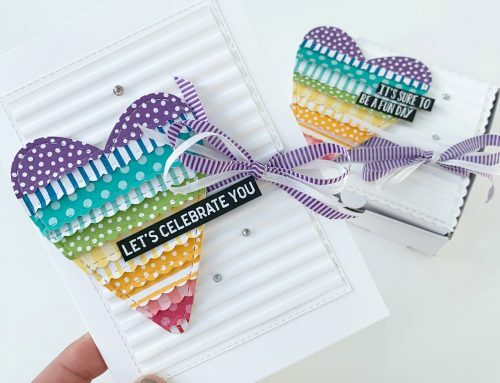 Love this kit, such great non traditional ideas for using the cards! Thanks for the chance to win!! Beautiful kit to go along with spring! Never thought of making a scrapbook page to frame. How lovely! Fabulous colour combo for the PL kit. Amazing inspiration!!! I loved the idea of framing the pictures using the Project Life kit. I love the Hello Lovely Project Life Card and Accessory kits! They are on my Stampin’ Up wish list. So clever Jennifer! Love all your projects and the beautiful SU kits. The cards and layouts are amazing as is the Hello Lovely Kit! Thanks for the chance to win! What a wonderful project. Love the 8 X 10 layout for framing. Such a cool idea and your cards were wonderful. What a fun collection and the title says it all. “hello Lovely” Project kit is wonderful lives up to its name!!!! Such a fun magazine! Would love to read it and get inspired! Great ideas Jennifer! Thanks for sharing….& the chance to win!!! what a beautiful kit!!! Those layouts are very inspiring! Thanks for the great ideas for using Project Life cards. I’m definitely going to try it on scrapbook pages today. Wow! Very pretty samples. Thank you for sharing and the chance to win. Great layouts and cards – I love Project Life! thank you! Love all your projects–very creative! Thanks for a chance to win! Wow!! Great pages and cards! What a great set. Thanks for sharing and a chance to win. This collection is so lovely and has great possibilities! Another great Stampin Up product.Love how you took a typical scrapbook item and made such lovely cards. Hopefully I win it and get to create some more cards. Beautiful kit! The cards turned out so pretty. And great idea to scrap an 8×10 layout so you can frame it! Thanks for the inspiration Stampin Up and the giveaway! ? Gorgeous layouts and cards!! I love the layering and embellishments. Beautiful cards and very cute layouts. Thanks for sharing these projects. Lovely layouts and cards! i really like the deep browns in the kit! I love this set. Great cards and a great prize. Hello lovely as scrapbook pages,…and they are beautiful! I’d like to think I could have thought of that, and yet I did not…clever! And those layouts are amazing! 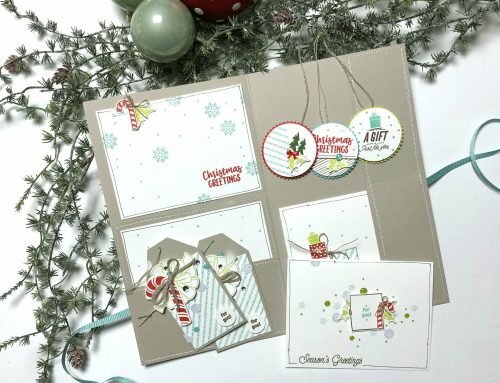 What amazing cards and layouts with this beautiful kit from Stampin Up. Just a beautiful collection. I just love the flowers, colors and elements. Colors that I just love. What a beautiful stamp and die set. I so love flowers. Thank you Stampin Up for being so generous. Awww!!! Awesome projects!!! Thanks for sharing these adorable ideas!!! This is a beautiful set. I just love the colours and have had it on my “wish list” for some time. Thanks for the chance to win the package. That would be fabulous!! Love the idea to make a personalized picture frame mat. A wonderful way to display a favourite picture and your talents! Wonderful kit with some great ideas! Beautiful pages with such pretty details! SU always has such awesome products! what gorgeous cards and an awesome chance to win -thanks!!! I love the mixture of patterns on the cards. Thanks so much for the inspiration. Jennifer…I can’t wait to copy all your ideas. So inspiring! Would love to win some Stampin Up goodies, and Project Life! BTW , I use the size 8 1/2 by 11 for calendars, and quite like it. Wow! This kit is Absolutely beautiful!!!! Would love to try these out! Thanks for the opportunity!!! Have this kit and will love to work with your ideas! That’s a great PL kit. The Hello Lovely Project Life card kit looks great. So versatile. Appreciate the fun layout and card ideas. I use the project life cards for pocket scrapbooking and love how it all coordinates. It’s great to get other ideas for the cards , like 12×12 pages and cards. I’ll have to stretch my imagination now and try this!! Thank you for this amazing Project Life kit. I have never worked with one but would be curious to find out what to do with it. This looks like fun! Love Stampin UP! Beautiful and easy to put together. Awesome collection – thank you for all the inspiration..
great ideas and great giveaway! thanks for the opportunity! This is really a beautiful kit. Wow! This is just a lovely Project Life Card Collection. The colors are amazing and I love all the projects you made with it! 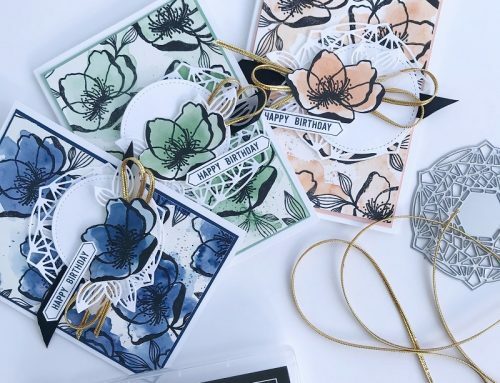 Stampin Up and Becky Higgins have come up with so many gorgeous project life collections, I was so sorry to hear that they ending their partnership. thanks to SCT and Stampin Up for this amazing giveaway!